The last parkrun Saturday in March saw 961 runners, joggers and walkers, 134 volunteers, 88 First-timers and 162 PBs! 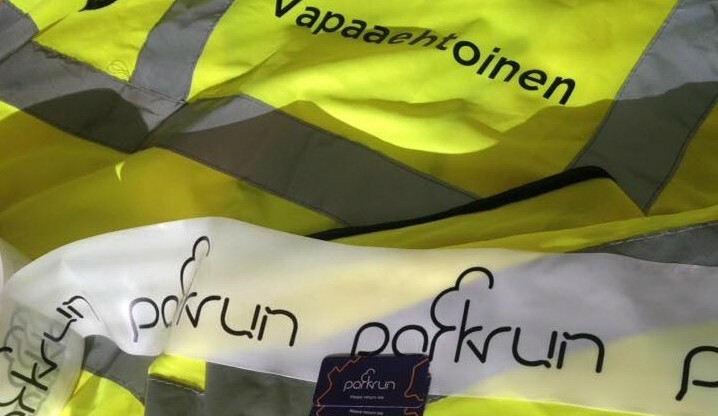 We welcome back Kungsängen parkrun this Saturday which will give us a full set of 22 Nordic parkruns and if the weather is on our side, perhaps over 1000 participants for the first time in 2019…. 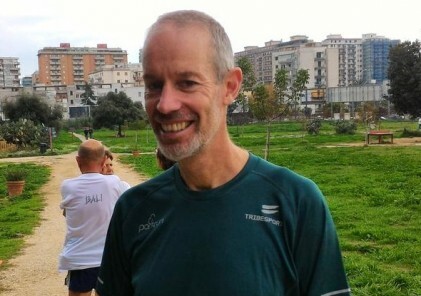 This weekend we had a visit in Sweden from the one and only ‘MC parkrunner’, (aka James Mulholland) pictured here at Haga parkrun: This of course gives us an excuse to publish his most excellent parkrun themed video: “parkrun – start your Saturday”! Click and enjoy – but beware – it’s very catchy! 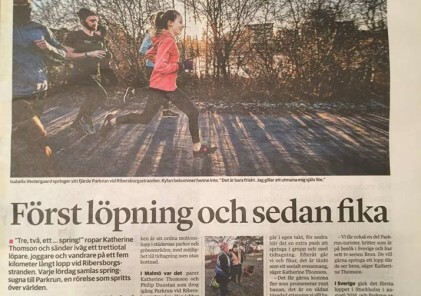 Örebro parkrun – 2 years old! Some of our parkrun stuff is missing…..